Disclaimer-I was provided with oats and peanut butter from Bob's Red Mill and Pb & Co to use for this recipe. I received no further compensation and was under no obligation to review or host a giveaway. All opinions are, as always, my own. This post also contains Amazon affiliate links. 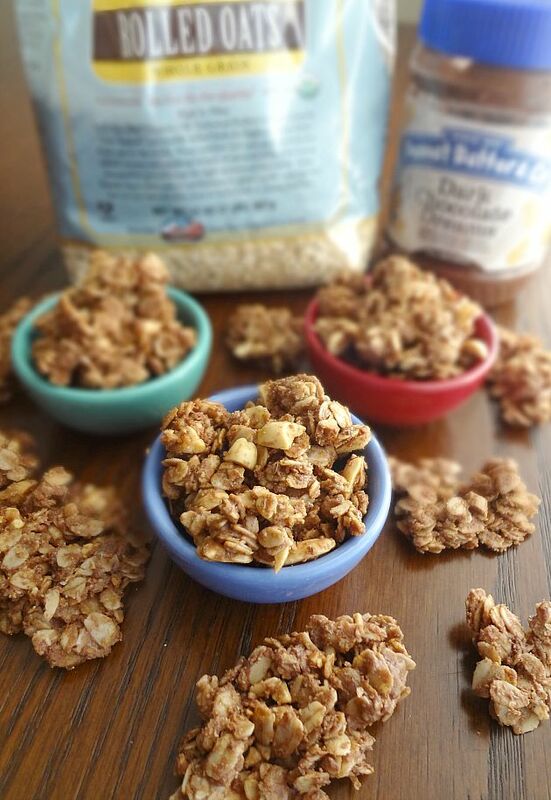 Guys...I am so excited to help ring in #Oatober with this recipe! Oh, what is Oatober, you ask? It's October....but Peanut Butter & Co. and Bob's Red Mill have teamed up to make this month all about hearty, versatile oats + delicious and flavorful peanut butter! And I'm so stoked because these are two of my favorite brands-I legit. use them all the time! 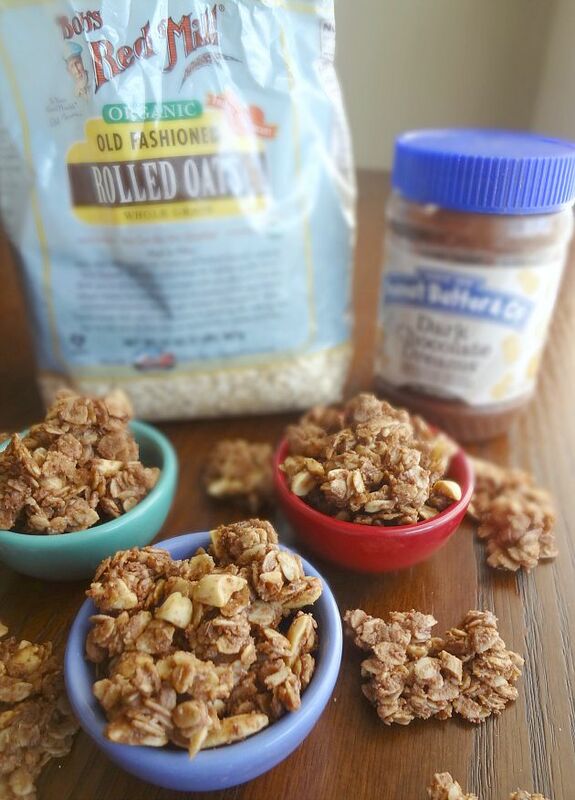 Now....there are a bjillion ways you can pair oats and peanut butter (oatmeal, cookies, fruit crisp desserts, etc.) 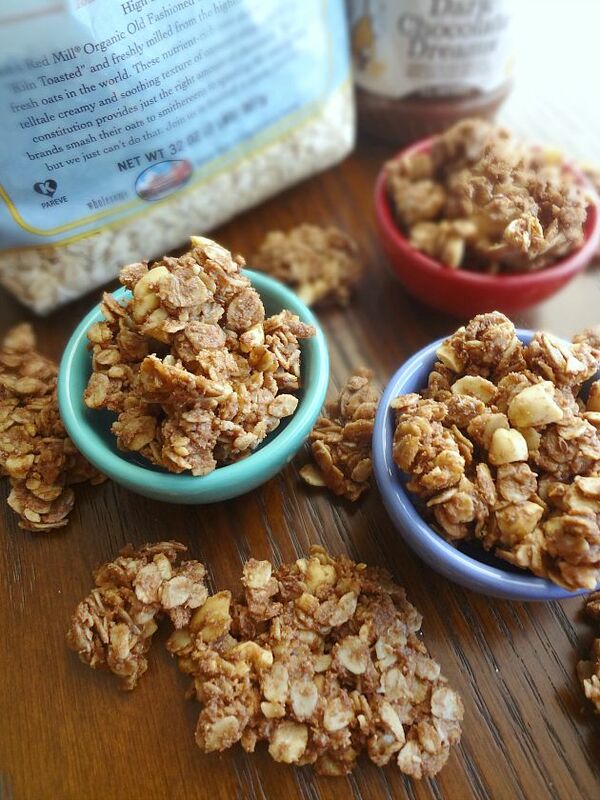 but one of my favorites in GRANOLA. I just love granola. 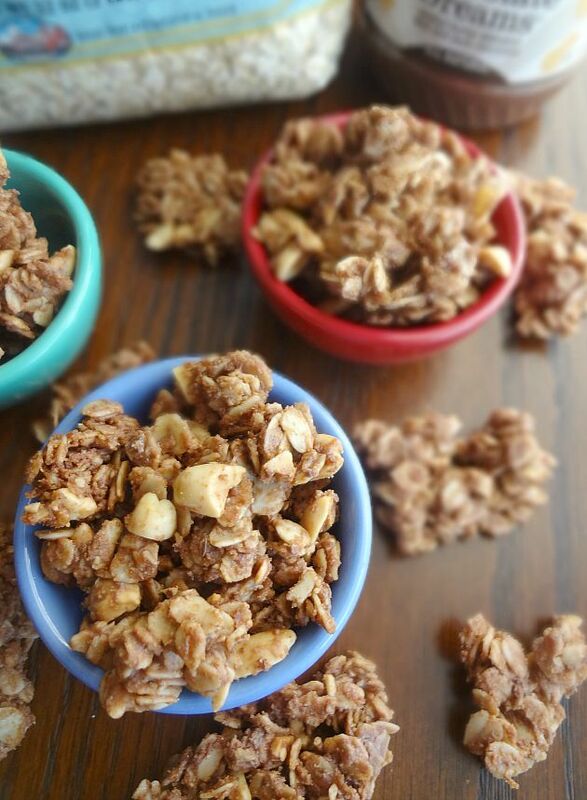 It's such a tasty and easy breakfast or snack and it can even be used in other things (granola waffles? granola cookies? etc.) So...I decided that was the perfect thing to share with you guys today! 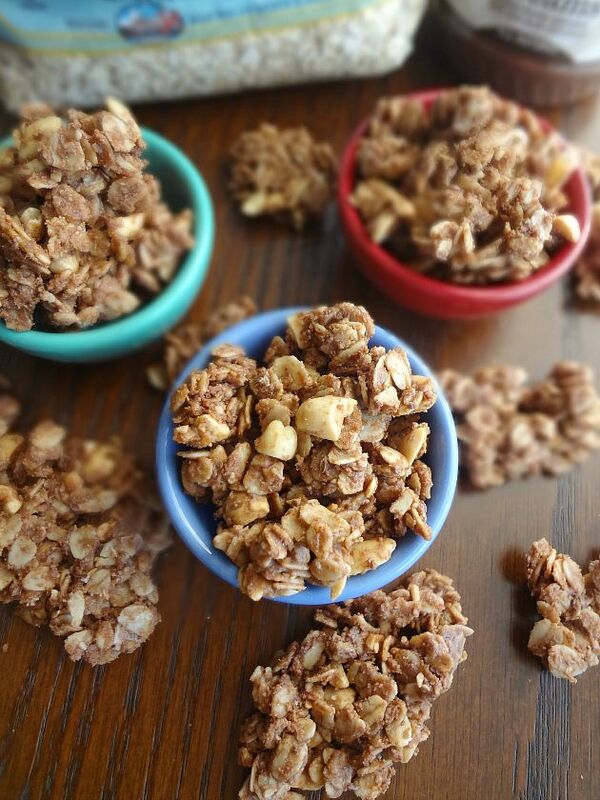 Something really cool and unique about this recipe is the whole wheat flour-it creates little clumps and is part of what adds to the "cookie" sort of feeling this granola has. Oh and be prepared-it will 100% smell like you're baking delicious cookies when it's in the oven. But that's ok because, even though this granola is healthy and wholesome and filling, it's also insanely delicious. Dark Chocolate Dreams is my pb bestie-chocolatey and peanut buttery goodness. Then we have crunchy peanuts and subtly sweet honey and the chewiness that you get courtesy of oats. Perfection. Guiltless indulgence! Preheat oven to 275F degrees. Line a large baking sheet with parchment paper. In large bowl stir together oats, flour, peanuts, flaxseed, baking powder, and salt. In medium microwavable bowl, combine honey and peanut butter. Microwave for 30 seconds and then mix until combined. Stir coconut oil and vanilla extract into the pb-honey mixture. Pour peanut butter mixture over the dry ingredients and stir until evenly incorporated. Spread in an even layer on the prepared baking sheet. Bake for 20 minutes, stir, and then bake another 10-15 minutes, until fragrant. Store in airtight container (I used a resealable plastic bag) for up to 2 weeks.